Designed to meet the exact requirements of your property and to accurately reflect your tastes, a bespoke conservatory is more than just your usual home extension. Bespoke conservatories are a fantastic way of putting your mark on your home. Unique to you, we can tailor make and individually design conservatories that meet your specific requirements. As an Ultraframe installer, we have access to their bespoke range of house extensions so that you can decide on the perfect conservatory. If you’ve been thinking about bespoke conservatories, but have been researching house extensions, you’ll be able to get the best of both worlds when you choose Select Products as your installer. Because we use Ultraframe– a recognised leader in the design and manufacture of conservatory products – you’ll be buying a product of quality. With a range of Ultraframe products to choose from, we can introduce you to a wide portfolio of products designed to make bespoke conservatories look and feel more like a room. Which of our house extensions is better? A range of customisation options will be available, which we’ll be able to guide you on during the design stage. 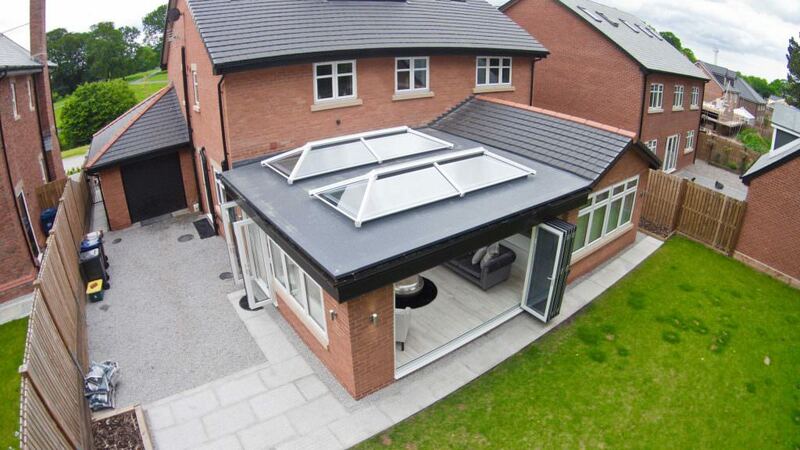 The Ultraframe Livinroof combines the benefits of a solid and glass roof. Bespoke conservatories come to life with this vibrantly designed – but extremely practical – system, which will allow you to decide where you want the shaped glass panels to fit. You’ll be able to focus the light exactly where you want it, resulting in a room that’s bright and fresh. The Livinroof is thermally efficient. It includes composite external panels and slab insulation made by Kingspan, which work in close conjunction with the internal ceiling pelmet that’s infilled with mineral wool insulation for your additional comfort. Bespoke conservatories fitted with an Ultraframe Livinroof are comfortable all-year round, whatever the weather. The inclusion of a ceiling pelmet as standard means your new room will feel like a natural extension of your home, instead of standalone space that sits separately from it. A vaulted ceiling can be fitted by one of our installers if you want to create a sense of space – but you can also opt for a suspended ceiling that continues the height of an adjoining room. 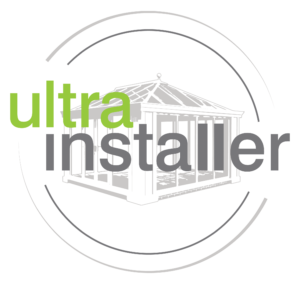 easy to install, because its manufactured and pre-fabricated at Ultraframe’s factory, which means it’s ready to be fitted as soon as it arrives on site. 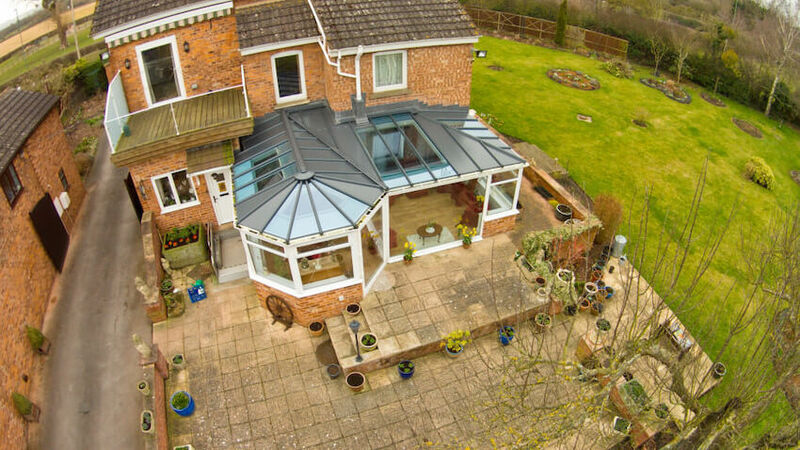 Like its close cousin, the Livinroof, this is a solid roof system that’s ideal for bespoke conservatories can combine glazing and is suitable for house extensions. Although glazed sections can be incorporated into its structure, its possible to request Velux windows – which is ideal if you want to create an environment that’s private but still lets in lots of space-creating light. Visually, the Ultraroof Extension looks stunning. It allows for the introduction of super insulated columns that add a sense of presence and style to the structure, while also providing thermal efficiency levels many times higher than that of a brick pier equivalent. Bespoke conservatories fitted with this Ultraframe system stand out. A sense of space is guaranteed with the Ultraroof Extension. The vaulted ceiling inside will make your new room feel spacious and comfortable at the same time – because it will be plastered to create a homelier feel. Lighting and speakers can be affixed to the pelmet to enhance further the look and feel of a room that acts like an extension of your home. Bespoke conservatories built using the Ultraroof can be customised to suit individual requirements. The ridging and hips in your conservatory roof can be decorated using traditional or contemporary aluminium capping, while your external fascia boards can be decorated with colours that will match your existing window frames to ensure continuity. Bespoke conservatories are used as all-year-round spaces, so they need to be comfortable – no matter what the weather might be like. Ultraframe uses high-performing Conservaglass in all its designs. This type of glazing is capable of preventing up to 83% of solar rays from penetrating during summer and will trap warmth when it’s most needed in winter. Conservaglass makes cleaning Bespoke conservatories easy. The coating in the glass burns off unwanted debris that then washes away with the rain. 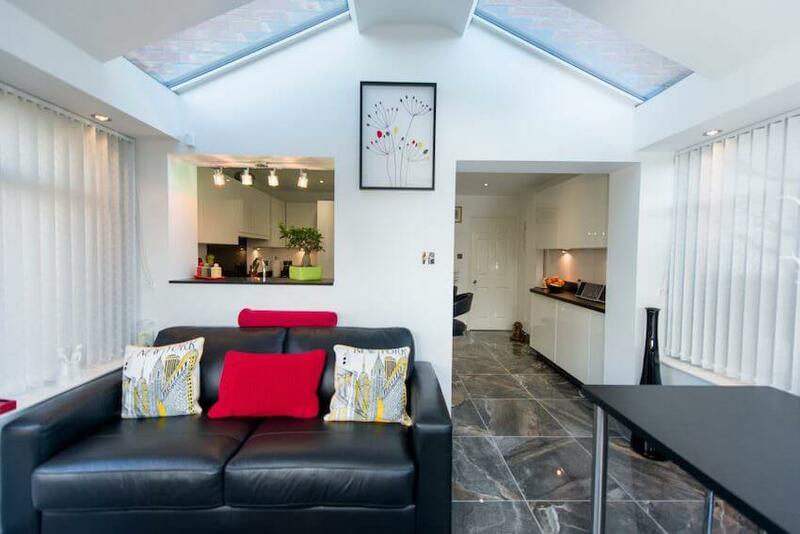 You’ll be able to devote your time to more meaningful tasks when you choose an Ultraframe conservatory roof – which means you’ll be able to sit back and relax with a good book or entertain friends instead. Comfort and convenience will be guaranteed when you choose Select Products as your installer. Our range of Ultraframe bespoke conservatories will provide you with a space that’s always the perfect temperature and will reduce your running costs and carbon footprint – while increasing the market value of your property at the same time. We offer bespoke conservatories that are designed with style, designed for you and designed to last. 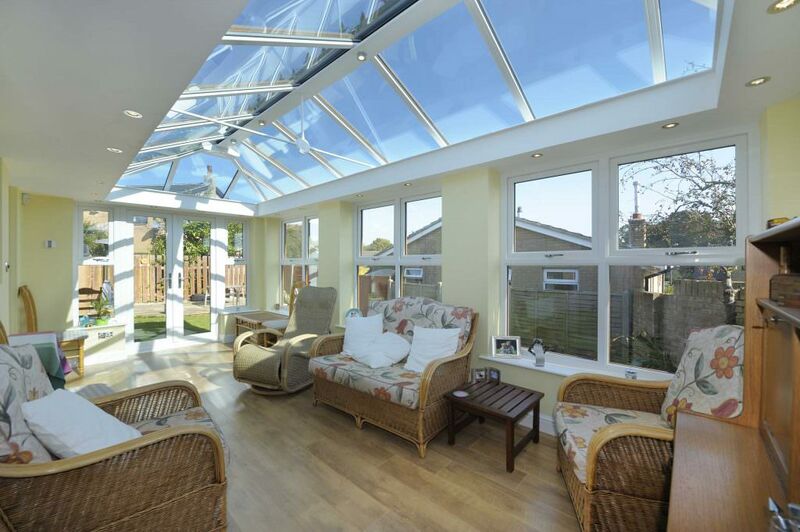 We offer a comprehensive 10-year guarantee via the trusted and respect Home Pro, and we also provide extra cover through Ultraframe’s conservatory roof guarantee. To discuss the benefits of Ultraframe bespoke conservatories in more detail, contact Select Products today. We will be able to help with every aspect of your home project, from concept and design, through to implementation. We’ll also be on-hand to support you if you have any questions after work has been completed. Select Products is accredited with FENSA and only uses products from industry-leading manufacturers. 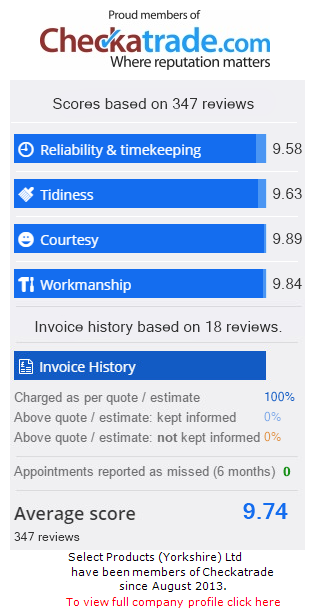 To discuss bespoke conservatories with our team, please call us on 0113 257 8933, or use our contact page to send us a message, in which case we’ll call you as soon as we can with a more detailed response to your query. If you want a bespoke conservatories quote, please visit our online design tool and enter further information about the product you are interested in. Within minutes you’ll be given some guideline prices to consider. If you want costs for other products – like windows or doors – you can revisit the tool as many times as you like.